https://affiliations.si.edu/wp-content/uploads/2014/07/wideamericanearth.jpg 176 200 Laura Hansen https://affiliations.si.edu/wp-content/uploads/2019/03/si_Affiliations_rgb_single-line_color-280w-1.jpg Laura Hansen2014-07-29 12:18:352017-03-10 17:50:40Need an Exhibition Now? 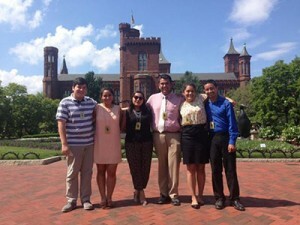 Shown are Guillermo Vela, left, from Mission; Erica Gonzalez, from Harlingen; Jennifer Becomes, from Phoenix; Adan Chavez, from Riverside, California; Lilliana Ascensio, from San Francisco and Gabe Vasquez, from Alberquerque. Erica Gonzalez learned a lot during her trip to Washington D.C. Now sheâ€™s applying what she learned at the International Museum of Art and Science in McAllenâ€¦She is one of 22 high school graduates accepted to the Smithsonian Latino Centerâ€™s Young Ambassadors Program. About 360,000 visitors a year come to Plimoth Plantation, the Smithsonian-affiliated museum featuring historical reenactments of life in the colony settled by Mayflower pilgrims in 1620. But nobody knows exactly where the Plymouth colony was located. Now, Smithsonian magazineâ€™s online site reports, researchers from the University of Massachusetts at Boston have begun an excavation to pinpoint the site. He said that the museum is updating the Imax Theater. Orwoll said the theater will be getting new walls and lights. “The old decrepit Imax letters on the building are coming off,” he said. “They’re finally coming off and we are going to repaint the top of that building with Smithsonian blue colors.” Orwoll added that the museum is planning to get new exhibits. He said the museum will be getting a Smithsonian exhibit called “Earth from Space” and a new solar system exhibit. When I first received the notification from the Smithsonian to be the Project Director for the production of the original Star Spangled Banner permanent exhibit â€” the most treasured national icon at the National Museum of American History in 2007, I felt deeply humbled. A year later, President George W. Bush and the First Lady Laura Bush re-dedicated the exhibit to the nation. Ironically, his childhood home is yards away from my office at the Ellen NoÃ«l Art Museum. The project called e-Mammal will be implemented under AAM’s Museums Connect programme. The other collaborators are North Carolina Museum of Natural Sciences and Smithsonian Institute, USA and Museo de Paleontologia, Mexico. Poverty Point was the U.S. Department of the Interiorâ€™s lone nomination for world heritage statusâ€”adding to the siteâ€™s accolades as a National Historic Landmark, National Monument and Smithsonian Affiliate. 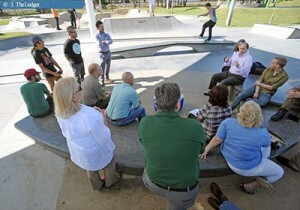 Jeff Brodie, deputy director of the Lemelson Center for the Study of Invention and Innovation at the Smithsonian Institution, announced plans for Innoskate at the Lakeland Skate Park. Innoskate is a celebration of the innovation and creativity of skateboarding. It started in 2013 Smithsonian Institutionâ€™s Lemelson Center for the Study of Invention & Innovation in Washington D.C. The trend makes a local stop on Friday and Saturday when the Polk Museum of Art, part of the Smithsonianâ€™s network of affiliate museums, presents Innoskate Lakeland. The event, conceived by PMoA curator Adam Justice, is one of only two offshoots of the original event; the other takes place at Seattleâ€™s Museum of History and Industry in August. Tuesdayâ€™s event is organized through the Telluride Historical Museum, which last summer became a Smithsonian Institution Affiliate. 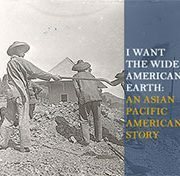 That means the small museum at the top of Fir Street can borrow items from the Smithsonianâ€™s collection and has the opportunity to host scholars like Kurin. From the Smithsonian Institutionâ€™s vast collection of 137 million items, Richard Kurin has culled just 101 things that tell the story of America from the days of George Washington to the Internet Age and everything in between. Closer to home, the Sonoma County Museum, a Smithsonian affiliate, will host a mass singing of the anthem at midday that same day. In honor of both, the Frazier History Museum willhold special events Saturday, beginning at 11 a.m. and culminating in a nationwide sing-along of the national anthem, sponsored by the Smithsonian National Museum of America History. 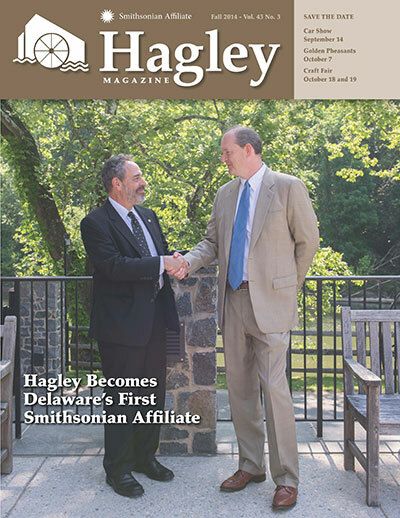 Smithsonian Affiliations Director welcomes the Hagley Museum and Library to the Smithsonian Affiliate network. Photo courtesy Hagley Museum and Library. In the most ambitious project to date, the Center of the West in Cody, Wyoming, has completely revamped its online collections database. Now, nearly every artifact that has been photographed–more than 20,000 objects from the Center’s extraordinary artifact collection–appear online. Will $3M anonymous donation save National Museum of Industrial History? The donation fills the funding gap that museum officials have been working to close for 17 years in order to open the tourist attraction in south Bethlehem. New York Governor Andrew Cuomo and CNN Worldwide president Jeff Zucker will officially open, A LOOK INTO THE SIXTIES, a museum-style installation in New York Cityâ€™s Grand Central Terminal,curated for the public in cooperation with 11 Smithsonian Affiliates. In cooperation with eleven Smithsonian Affiliate museums from around the country, CNN installed a museum-style exhibit in Vanderbilt Hall in Grand Central Terminal in New York City celebrating the spirit of the 1960s. The collaborative process between CNN and Smithsonian Affiliations has allowed us to bring together iconic treasures from across the Smithsonian Affiliate network. This has been a groundbreaking collaboration bringing these museums together on a national stage provided by CNN. Great news from Affiliateland!Â Bravo to all! The National Civil War Museum (Harrisburg, PA) received a $5,000 donation from the Hall Foundation to support educational programming. The Hall Foundation is the title sponsor of the new exhibit “In the Hands of the Enemy: The Captivity, Exchange & Parole of Prisoners of War,” that highlights the brutal conditions of prisoner of war camps, Confederate and Union. The exhibit will have rare artifacts from the National Civil War Museum’s collection on display, and information panels will address and explain the conditions of the camps and daily prisoner life. 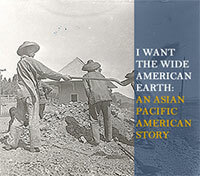 The Hawai`i State Legislature approved $500,000 in State Grant-in-Aid funding toward the new Island Heritage Gallery exhibit at the Lyman MuseumÂ (Hilo, HI).Â The new exhibit will explore a historical timeline of the many people, cultures, events, and ideas that left their mark on Hawai`i Island and contributed to the rich, diverse mosaic of modern Hawai`i. The Hall Family Foundation has donated $4 million to help fund capital improvement projects at Union Station Kansas CityÂ (Kansas City, MO). The funding will be used to make improvements to Science City as well as the development of a pedestrian bridge and a new lower-level entrance. 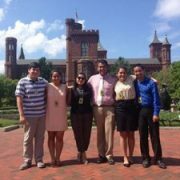 The Reginald F. Lewis Museum of Maryland African American History and Culture will hire a curatorial graduate student intern, create a postdoctoral fellowship in African American history, and establish a professional development fund that will allow staff at all levels to take advantage of training programs relevant to their work as museum professionals. The American Jazz Museum will hire a registrar to enhance the accessibility of the museumâ€™s collections and create four semester-long paid internship positions focusing on collections and education. The Ellen NoÃ«l Art Museum (Odessa, TX) received a grant from the Junior League of Odessa for the â€œLittle Free Libraryâ€, a decorative receptacle and will be filled with books for children and young adults to â€œtake a book, leave a book.â€ Â In addition, the Ellen Noel Art Museum has received a $20,000 grant from National Endowment for the Arts for their innovative research in the 3D printing lab meant to assist the visually impaired. Western Reserve Historical SocietyÂ (Cleveland, OH) $10,000 for Hale Farm & Villageâ€™s Adopt-a-School Program at Leggett Elementary. Western Reserve Historical Society, $5,000 for Hale Farm & Villageâ€™s Wetmore Barn Preservation. Plimoth Plantation (Plymouth, MA) announced that the Massachusetts budget for 2015 includes $2 million funding for the restoration of Mayflower II, a replica of the original ship that brought the Pilgrims to Massachusetts. The African American Museum in Philadelphia (Philadelphia, PA) received a $50,000 award from John S. and James L. Knight FoundationÂ to enhance two current art exhibits: the photography of “Distant Echoes: Black Farmers in America,” and the sculpture of “Syd Carpenter: More Places of Our Own.” The Knight-supported programming, dubbed “Beyond Sustenance,” will encompass interactive storytelling, art-making, community dining, and workshops centered on African-American traditions in farming, cooking and more. Mystic Seaport and the Mashantucket Pequot Museum & Research CenterÂ (Mystic, Mashantucket, CT) received aÂ $30,095 grant from Connecticut Humanities to support a project called Connecticut Indian Whalers: Work, Community, and Life at Sea.Â The projectÂ features digital, exhibit and program offerings designed to raise school and public awareness about the men of color from Connecticut who labored on 19th century whaling ships, in particular Native American men whose work experience was strongly intertwined with their social and kinship networks. Staten Island City CouncilÂ allocated $3.7 million to Snug Harbor Cultural Center and Botanical Garden for building renovations. The Institute of Museum and Library Services announced that North Carolina Museum of Natural SciencesÂ (Raleigh, NC) was one of 10 recipients of the 2014 National Medal for Museum and Library Service. The National Medal is the nationâ€™s highest honor given to museums and libraries for service to the community. Charlene Donchez Mowers, executive director of Historic Bethlehem Museums and SitesÂ (Bethlehem, PA), received the Strategic Partner Award from the Bethlehem Chamber of Commerce.Â Historic Bethlehem has recently been designated a National Historic Landmark site. The Monumental Earthworks of Poverty Point state park (Pioneer, LA)Â have been designated as a UNESCO World Heritage site. This prestigious designation is a global recognition of the siteâ€™s outstanding universal value. PA Museums announced that the Senator John Heinz History Center (Pittsburgh, PA) received the President’s Award for its national award-winning exhibit From Slavery to Freedom. The Board of the Western Reserve Historical Society announced that Kelly Falcone-Hall has been selected to be the new CEO. Falcone-Hall had been serving as interim CEO during the selection process. The lazy end of summer is seeing no slowdown of activity in Affiliateland.Â Get out there and experience some terrific Smithsonian programs in your neighborhood! The Birthplace of Country Music MuseumÂ hosts its grand opening weekend with concerts, contests, exhibits and more in Bristol, 8.1-3. Union Station will open a satellite Spark!Lab, developed by the Smithsonian’s Lemelson Center for the Study of Invention and Innovation, in Kansas City, 8.5. History Miami opens SITES American Sabor: Latinos in U.S. Popular Music exhibition in Miami, 8.6. Celia Cruz, Ricky Martin and Gloria Estefan, some of the artists featured in the American Sabor exhibit. TheÂ Museum of History and IndustryÂ hostsÂ Innoskate, a day-long celebration of skateboarding innovations, including demonstrations, clinics, and talks by skateboard artists in Seattle, 8.16. The South Carolina State Museum will open Windows to New Worlds, a newly-expanded complexÂ that includes a planetarium and 4-D theater in Columbia, 8.16. Antje Neumann, conservator at the National Museum of African American History and Culture, will participate inÂ Pittsburgh’s Hidden TreasuresÂ at the Heinz History Center in Pittsburgh, 8.17. Robbie Davis, Project Director for the Smithsonian’s Museums on Main Street will serve as a juror for Annmarie Garden‘s upcoming exhibitionÂ Feast Your Eyes: Food as Art in Solomons, 8.20. The U.S. Space and Rocket Center opens SITES Black Wings: American Dreams of FlightÂ exhibition in Huntsville, 8.24. The Kenosha Public MuseumÂ hostsÂ a lecture on Mr. Lincolnâ€™s Air Force: Civil War Ballooning on Both Sides of the Line by National Air and Space Museum curator Dr. Tom Crouch in Kenosha,Â 8.26.